Today was Nathaniel's last game for tee ball season. Afterwards, he and his teammates had a pizza party and awards ceremony with their coach to celebrate the season. 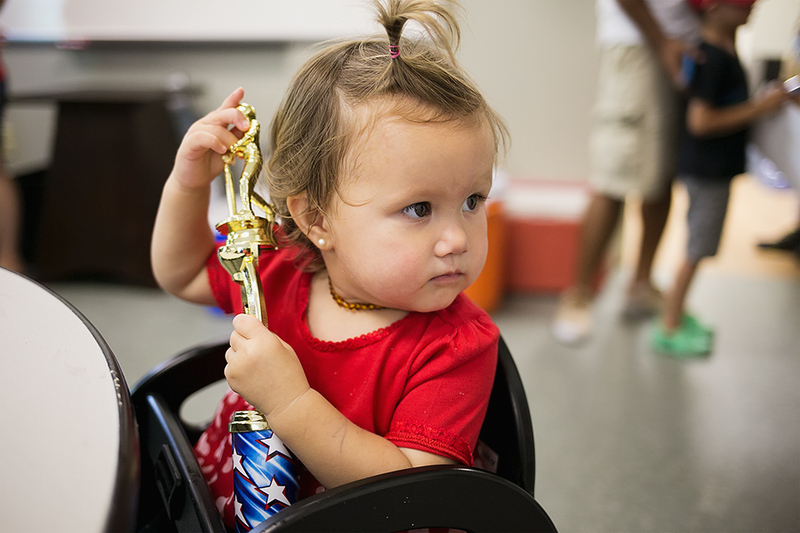 He received a huge trophy, which Amelia immediately snatched up as soon as Kuya put it down to go outside to play. Totally fair, right?